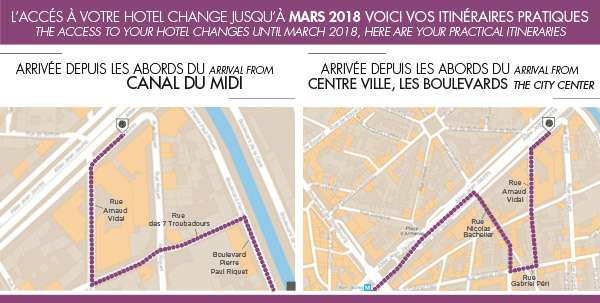 Gare de Toulouse - Pullman car park is ideally located a 3-minute walk from Toulouse Matabiau SNCF Train Station and a 10-minute walk from Toulouse city center. This car park is provided by our partner the hotel Pullman Toulouse Center. The parking of the vehicle is done by a valet. When you arrive at the door of the hotel, a valet will take charge of your vehicle to park it. After a quick inventory of the vehicle, you will give your keys to the valet. Introduce yourself at the front desk to report your departure. The valet will drop off your vehicle in front of the hotel door.